One of my husband’s coworkers asked me to make some lavender cupcakes. My first reaction was a little bit, “What, the WHAT?!!? Not because I didn’t know that lavender can be used for cooking/baking, but because I have never used it… EVER and I was pretty sure I couldn’t just roll up to my local grocery store and buy some lavender. 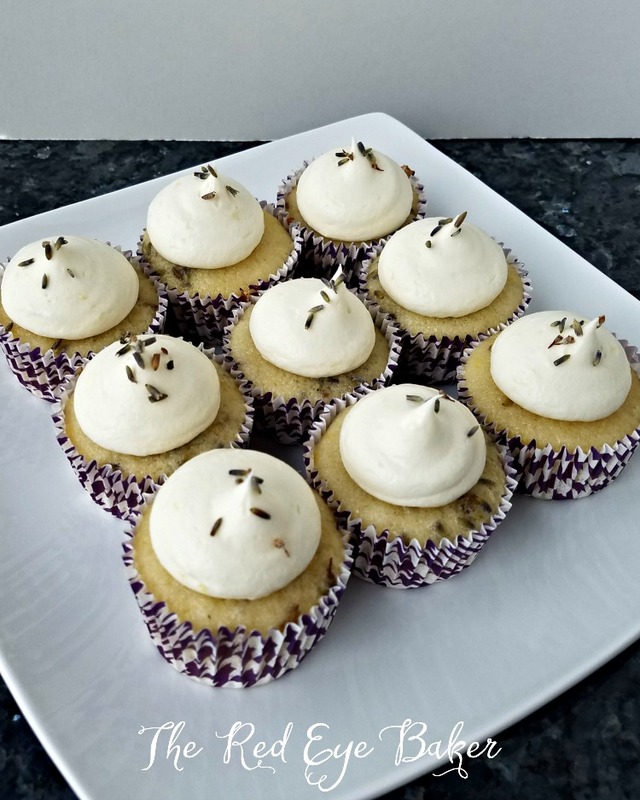 Walk with me as I journey into the culinary unknown (for me) and make some Lemon Lavender Cupcakes. *This post contains affiliate links, which means that I receive a commission if you make a purchase using one of the links. There is no additional cost to you. When used correctly, lavender adds more of an aromatic experience to your food then a flavor. 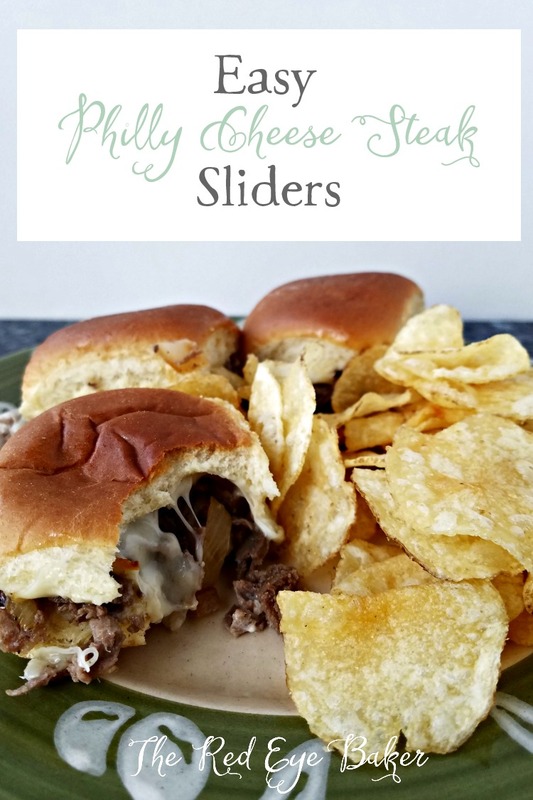 My kitchen smelled like a spa after I took these out of the oven. The smell was so amazing I had feared that I maybe put too much lavender in the batter. I’m not sure why, but I was afraid to taste a cupcake. I don’t know… must be the flower thing or the fact that I equate lavender with aromatherapy and relaxation. LOL Then I took a bite… AH-MAZING! The lemon and lavender work SO incredibly well together. Since the lavender is not ground, it reminded me of when you eat lemon and rosemary. The flavor different of course, but the texture of the bitty dried lavender and dried rosemary is similar. The next day my husband brought these to his office and gave them to his coworker. She was so excited and decided to share with everyone at the office. 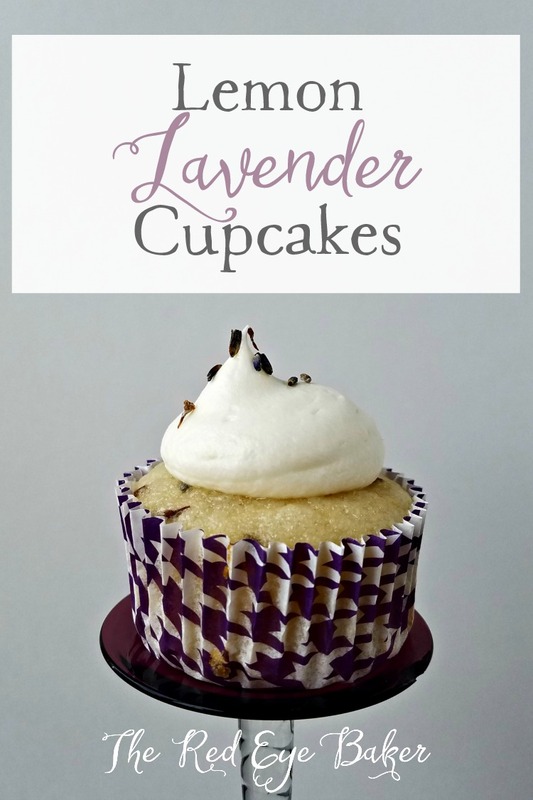 He called me later and he was shocked at the reception these lemon lavender cupcakes received! 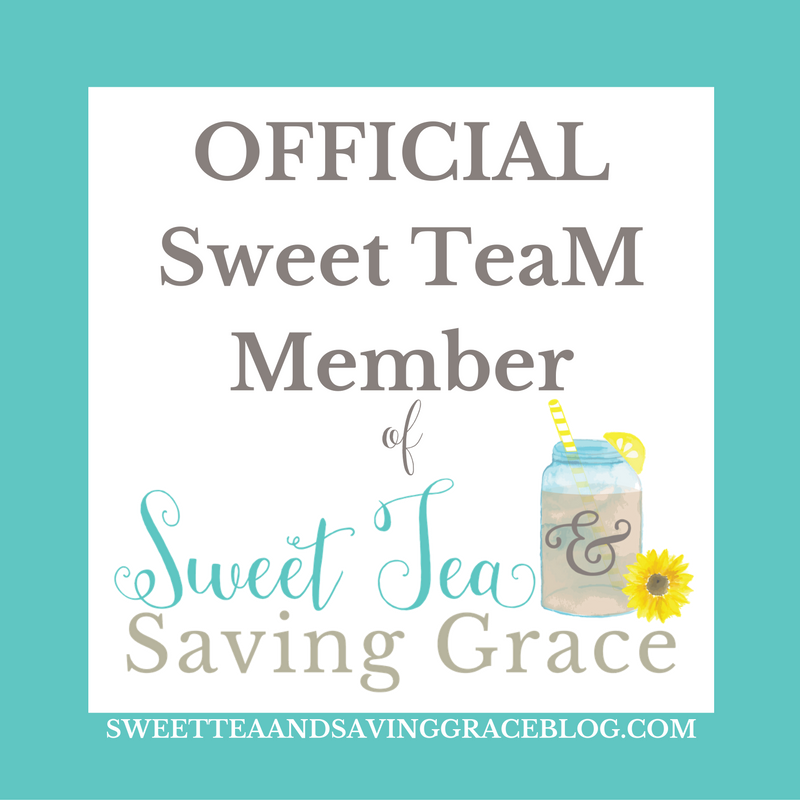 We both thought that it was a unique… very specialty type flavor and not necessarily one that people would gravitate toward right away. It’s for a more sophisticated palate I guess you could say. How wrong we were. 😀 Everyone that tried them LOVED them! Some even said it was the best cupcake I’d made yet. 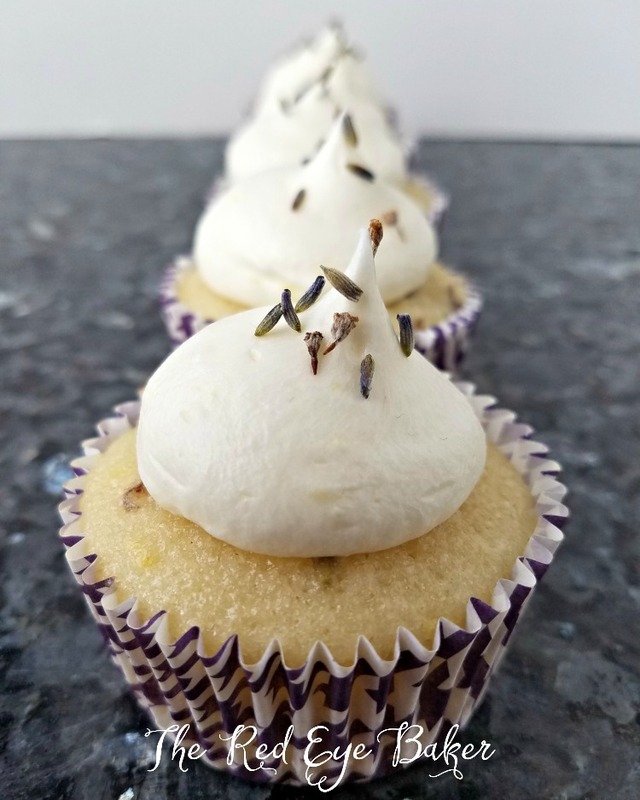 If you have ever wanted to try lavender… you need to get this off your bucket list and make some Lemon Lavender Cupcakes ASAP! You won’t be disappointed. 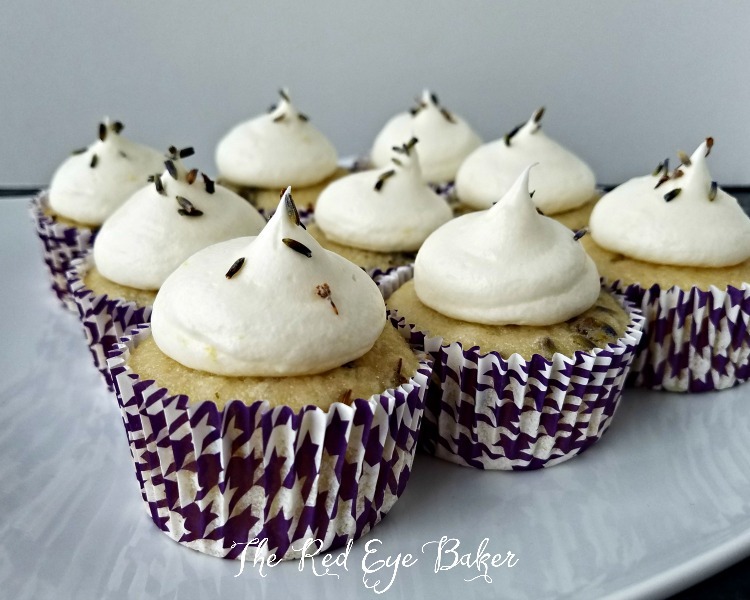 Join me as I set out on a culinary adventure and use lavender for the first time in my recipe for these delicious Lemon Lavender Cupcakes. Preheat the oven to 350 degrees and line and muffin pan with cupcake liners. Sift the flour, sugar, salt, and baking powder into the bowl of a stand mixer fitted with the whisk attachment or a large bowl. Then whisk the lemon zest and lavender into the dry ingredients. Add the eggs, oil, and milk and mix on low speed until just combined, Scrape down the sides and bottom of the bowl well and give the mixer a couple turns. With the mixer on low speed slowly add the hot lemon water and mix until smooth, scraping down the sides and bottom of the bowl as needed. Using a scoop pour batter into the prepared muffin pan until the liners are about ¾ full. Bake in preheated oven for 14 - 17 minutes or until a toothpick comes out clean when inserted into the center of a few cupcakes. Allow cupcakes to cool in the pan for about a minute then move them to a cooling rack to finish cooling. In the bowl of a stand mixer using the paddle attachment beat the butter and cream cheese until smooth and fluffy. With the mixer on low speed, add the powdered sugar one cup at a time beating well after each addition and scraping the sides of the bowl down as needed. Add the lemon juice, zest, and salt. Add the heavy cream and beat until light and fluffy. In warmer weather you may not need the cream. 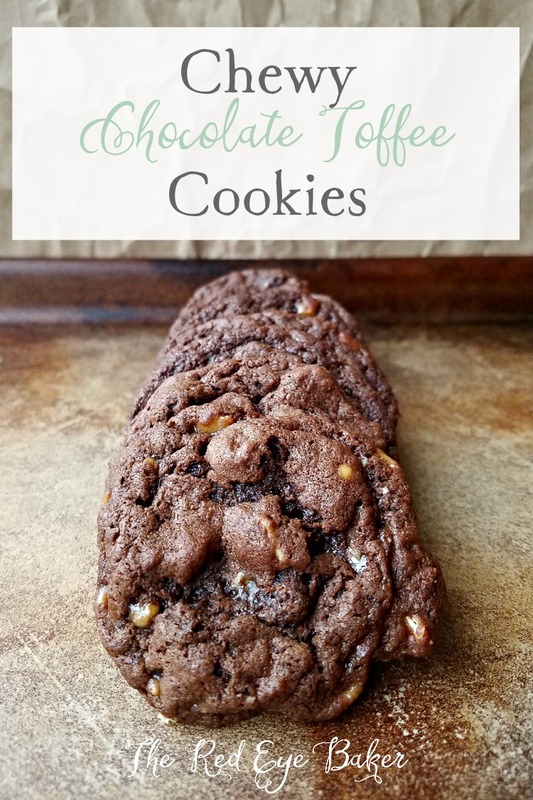 If the consistency is good, the cream can be omitted. Pipe a little buttercream on the cooled cupcakes and garnish with a pinch of lavender.